Even her tutor at secretarial college thought it was it odd. Some girls became secretaries to find husbands, and other girls became secretaries because they would never find a husband. But nobody became a secretary because they loved typing. Except Ada, who loved the clack of fingers on keys, the ring of the carriage as she returned it to the ready position, the wonder she felt each time she turned hastily scrawled notes or hastier dictation into neatly pressed words upon a white page. To Ada, it was like making art. But it was the war that turned her into an artist. 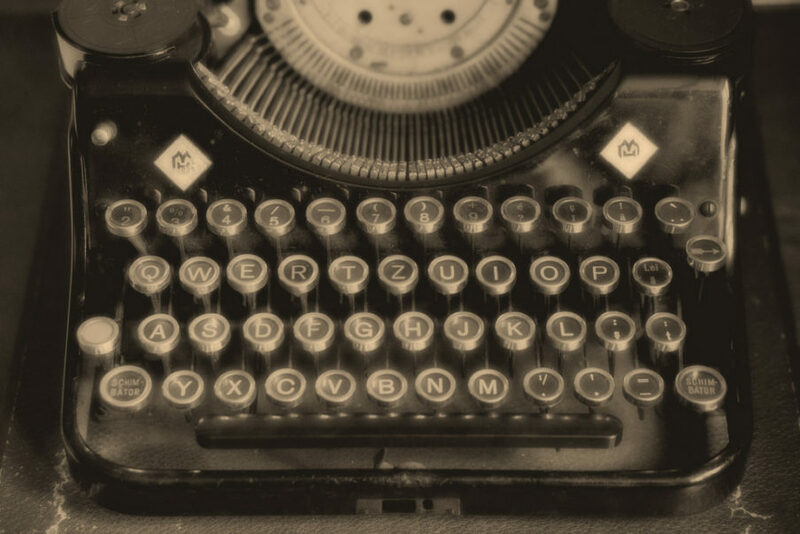 Nobody needed dull memos typed after the Nazis invaded Poland. They needed movement orders, equipment requisitions, despatches from the Front – all typed and neatly filed. Ada could do it with one hundred percent accuracy and in half the time. Soon, she was in demand, even from Generals. One day, they asked her to type at that new office, the SOE, and everything changed. She got the tap, as the boys said. The war introduced her to soldiers and sailors, men her mother would have fainted at the sight of. The war let her speak French, drive a truck, fire a gun. She still typed, occasionally. It was quicker than taking it down the hall and adding it to the request trays, under the judgemental eyes of the girls too jealous to speak to her, or the old matrons who thought her loose knickers made her an Intelligence Officer. When the peace was declared, Ada knew things would change. They wouldn’t need her anymore. Not to parachute behind enemy lines to extract an asset , not to root out German spies as the bombs rained down on London and certainly not to type. Still, she covered her typewriter with its dust hood, and went out to drink champagne in the streets with everyone else. It was selfish to think she was getting her art taken from her, not after all those good people had been killed. But when they asked her to stay on, she knew they recognised her as an artist. It was like they were giving her a studio. She just hoped she could do her own typing.